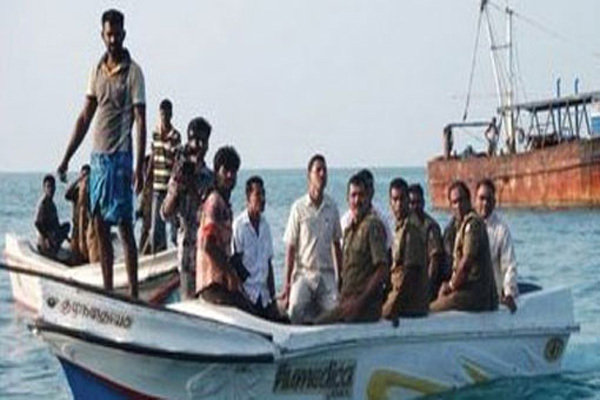 Rameswaram(PTI): Twelve fishermen from this island were arrested today by the Sri Lankan Navy for allegedly fishing near the Lankan coast, the second such incident in three days. The fishermen were arrested while reportedly fishing off Neduntheevu, Fisheries Inspector Bala said. They have been taken to Kangesanthurai. Their three boats were also seized, the official added. On August 8, nearly 50 fishermen, belonging to Pudukottai and Jagadapattinam districts, were arrested for allegedly poaching in Lankan waters.